This is my first Cohorted Beauty Box*. Beauty boxes subscriptions have left me underwhelmed in the past, but when the brand contacted me, and asked if I’d like to receive a box, the fact that it is a luxury subscription made me say yes. Due to a nasty run in with gastroenteritis last week, this post is slightly later than it should have been, so if you were to order now, you’d get next months box. First impressions with a beauty box are everything. The packaging is sophisticated, with a magnetic close and black ribbon tied at the front. Upon opening the box, I was impressed to find 5 full sized products, four of which were from high end brands I knew of. What’s more, I knew I’d actually use the products. The box so far is winning me over. Make-Up in a beauty box is usually a miss for me; the colours don’t suit me so they end up being yet another unused product in my drawer. I was impressed with the colours in the Laura Geller Creme Glaze Trio. I received Sandy Lagoon, which includes two brown shades and one blue. I’d use the brown shades more regularly, but I think the blue would look beautiful on holiday with sun-kissed skin. 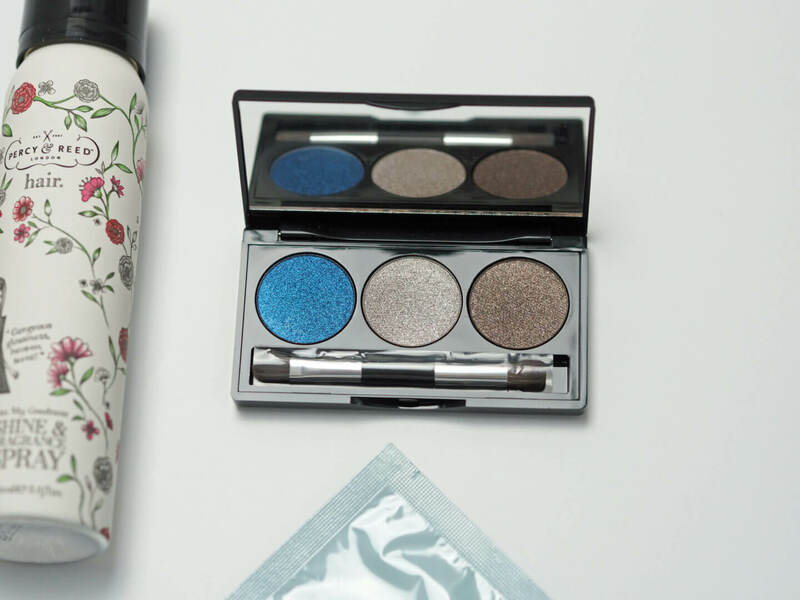 The eyeshadows incorporate vitamin E to keep your eye lids soft, which is a nice touch. The eyeshadows come with a mini brush and the bristles feel nice and soft; unlike the usual applicators that come with products. As with the eyeshadows, I was aprehensive about the colour choice I’d receive from a beauty box. Once again, I was wrong. I received the Laura Mercier Creme Smooth Lip Colour in shade Antique Pink and I love it. I tend to go with pink shades and as the name suggests, this is pink, but slightly plum coloured. As with the eyeshadows, I think this shade would compliment sun-kissed skin. The formula includes Olive Oil and Vitamin E to nourish lips. The lipstick should last 6 to 8 hours, so I shall report back once I’ve worn it. Percy and Reed was the only brand I’d not heard of. I’ve never used a hair fragrance spray, but I have previously used a shine spray. I sometimes feel that blonde hair lacks the beautiful shine that brunettes benefit from, so I will definitely be giving this a good try. The fragrance is light and doesn’t smell synthetic, which as described as being rose, a scent I do not particularly like, I actually quite like. I’m saving the Elemis Pro-Collagen Hydra-Gel Eye Masks for a special occasion, potentially my wedding prep. The masks are said to reduce the appearance of fine lines and wrinkles, with the under eye area feeling smoother and moisturised. I’ve not used an eye mask before, so I am keen to see the results. 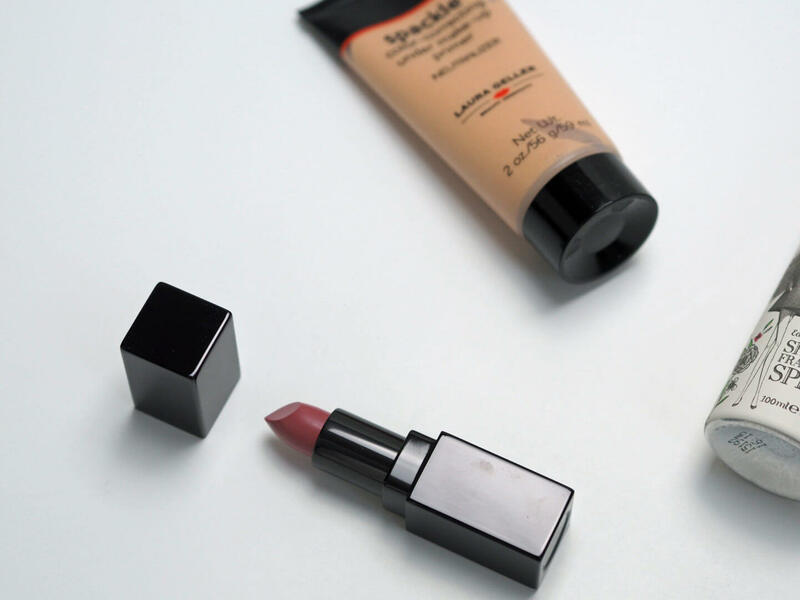 The final product in the Cohorted Beauty Box is Laura Geller Spackle Supercharged Under Make-Up Primer. I’m yet to find the perfect primer, so I can’t wait to try this is as it award-winning. The primer includes botanicals and antioxidants to fight age and free radicals. The formula looks particularly dark, so I’m unsure if I’ll be able to wear it without a tan, but I shall report back to you. Have any of you tried any of these products? 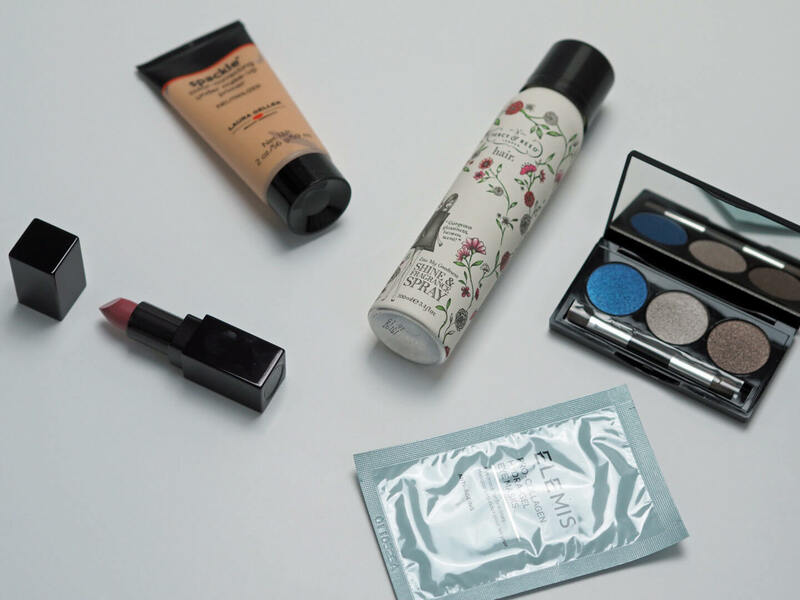 Have you tried the Cohorted Beauty Box? This box was sent in exchange for review, as always opinions are honest and my own. I’ve had the Cohorted box a few months and I’ve always been pretty impressed, I love that it mainly includes full size products. Great review Lauren! Thanks Alice, I’m so impressed! Wow Lauren! That is a fantastic box! 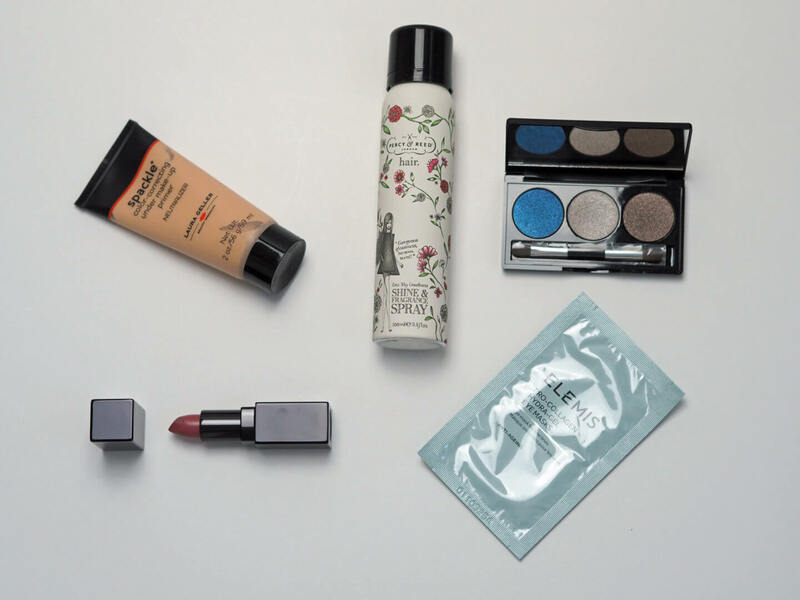 I love the eyeshadow trio and the lipstick….actually I love everything in the box. I love that Cohorted has full size products! I do find they repeat products though. I know it makes such a nice change from other boxes! I can’t wait to try the eyeshadows!